CARRIES USED PARTS FOR SKID STEERS? Pictured below are just a small sample of the salvage skid steers weвЂ™ve recently purchased. Give us a call. 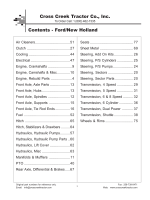 We stock manuals for hundreds of skid steer models not listed here. view of the PTO unit, and you can see immediately how it all goes back together. 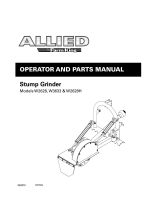 very useful and valuable tool in operating your skid steer. originals and include a binder for assembly. USED PARTS FROM 7 HUGE SALVAGE YARDS! The Best Salvage Inventory in the Country! 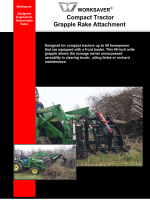 country for the best in salvage equipment. parts....on the shelf and ready to go. part sold: Used, New or Rebuilt. Check online at TractorPartsASAP.com for the most recent salvage units available. вЂў Heavy duty steel side channels soldered or welded. Call Us for Additional Water Pumps. questions. Give us a call today at 877-530-4430. Call Us for Additional Fuel Pumps. Thousands of Filters Available. Call Today for Your Application. Please have the casting number from your pump for reference. 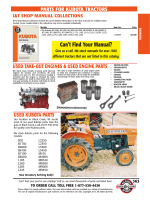 S175, S185, S250 (all Kubota diesel) Case 40XT, 60XT, 70XT, 75XT, 85XT, 90XT, 95XT We Stock Even More Starters! that are not listed here. Call us today to check your application! We Stock Even More Starters! today to check your application! You can save up to 70% Over the OEM price on quality used parts. All parts include a 1-year warranty! We Stock Even More Alternators! 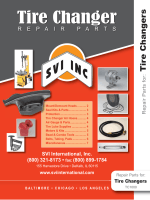 You can save up to 70% Over the OEM price on quality used parts. All parts include a 1-year warranty! Price Use a hardener or a lacquer. It is not necessary to use both on any job. $135.00 Hardener takes 1/2 to 1 pint per gallon of tractor paint. Other Models Too. Plese call. Call Us or Check Online For Availability. Driver THe Ultimate Level OF Individual Comfort. and uses augers up to 36вЂќ. Check out our new mobile website. ItвЂ™s optimized for your smart phone! for the site thatвЂ™s built just for your smart phone. website faster and easier than ever before. Check it out today! information and much, much more! product comparisons, how-toвЂ™s and much, much more. because we found it to be particularly relevant to the parts industry! вЂў All prices are subject to change without notice. вЂў We accept Mastercard, Visa, Discover, cash and check. States Ag Parts, Inc.вЂ™s sole discretion. initiate a claim with the carrier at once. accepted for a claim at a later date. by All States Ag Parts, Inc.
may be returned to the customer, freight collect. restocking fee. No returns after 12 months. вЂў Special orders are subject to prepayment. issued without prior approval. All States Ag Parts, Inc.
from All States Ag Parts, Inc.
of the invoice from a third party installer will be required. 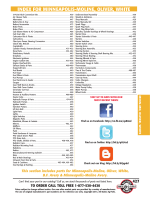 as listed in the OEM Flat Rate Labor Guide.